Amharic Music is an Ethiopian music streaming website that allows you to listen to Amharic songs by various Ethiopian artists. You can search for an amharic song by artist name, title or you can select an artist by clicking an artist name on the right. 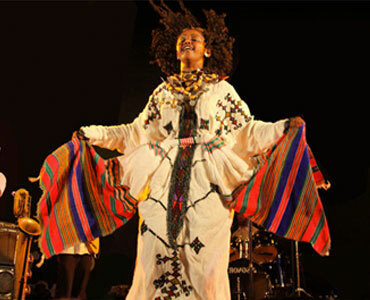 Amharic music is made up of unique and traditional melodies and sounds. Amharic music uses a modal system called Qegnt that has variations called Bati, Anchihoye, Ambassel and Tizeta. The musical instruments used are traditionally and uniquely designed drums, chordophones, aerophones such us the Washint. There are many internationally recognised Ethiopian singers such as Tewodros Kassahun (Teddy Afro), Aster Awoke, Ejigayehu Shibabaw (Gigi) and Mahmud Ahmed. Reggae and jazz music are becoming popular with local artists joining such genres with traditional melodies to create hybrid music.